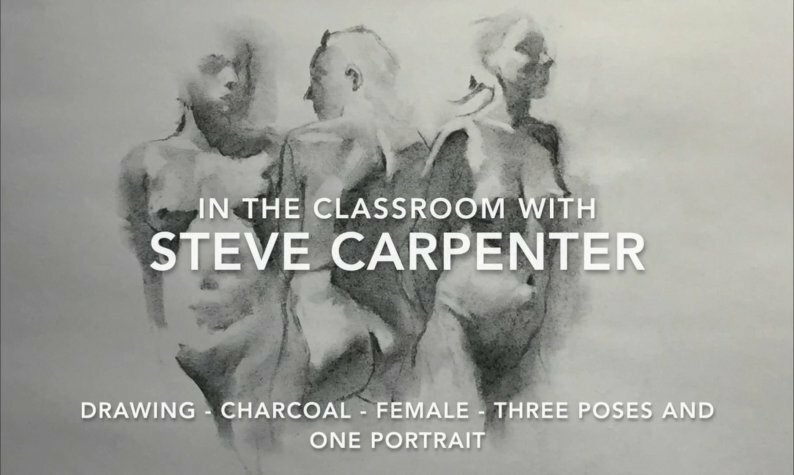 Steve explores three overlapping poses of a standing model creating and interesting abstract composed of line, highlight, and shadow. In the last exercise Steve provides a detailed charcoal drawing demonstration of portraiture. Basic techniques of portrait drawing are explored from rendering features to the search for beauty and interest. Steve suggests techniques for simplifying the subject while focusing on what is important to convey interest and beauty.